Fight against tax avoidance remains one of the top priorities of international taxation. The Council Directive laying down rules against tax avoidance practices that directly affect the functioning of the internal market (also known as “ATAD” – Anti Tax Avoidance Directive ) sets forth, among other things, new measures to limit deductability of the interest on borrowing costs. where the taxpayers are part of a group which files statutory consolidated accounts, taking into consideration the indebtedness of the overall group. To reduce the administrative burden, the Directive proposes to provide for a safe harbour rule so that net interest is deductible up to a fixed amount. The EU Council leaves it up to individual Member States to decide whether to include the interest on loans from financial institutions in the proposed amount of interest being compared or to exclude the same from the scope of interest limitation rules. The Slovak legislation currently only limits the interest on loans from related persons. Said changes should be adopted by all EU Member States until the end of 2018. 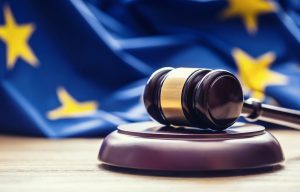 Within the fight against tax evasion, the EU Council proposes to the member States to implement the so-called exit tax. The aim is to ensure taxation of capital gains where a taxpayer moves assets or its tax residence to another State in the State in which the gains have been created even though that gain has not yet been released at the time of the exit.